Save big money on your next flight, hotel stay, or both with Makemytrip coupons! Book domestic and international flight tickets at a fraction of the regular cost, and save hundreds with MakeMyTrip. You’ll be able to quickly and easily reserve your transport for your entire vacation right online, and earn rewards and special incentives when you book with MakeMyTrip.com. Book your entire vacation, honeymoon, or getaway with Makemytrip promo code and save money that you can spend on other things! New specials, deals, and incentives are added on a daily basis. With Makemytrip, it’s all about travel; the company has revolutionized the travel industry and is now India’s online travel leader. Founded in 2000, it was created to empower the Indian traveler with fast, easy, and instant booking and comprehensive travel choices. The company offers a wide range of best-value services and products, along with dedicated customer support around the clock. Book your next vacation and be sure to use your Makemytrip coupons today to save big money! MakeMyTrip India is one of the leading online travel companies in the country. Established in 2000, it is still going strong. 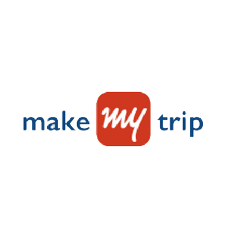 MakeMyTrip bus, flights, hotel, train bookings are quick and easy and a pleasure to work with. You can get attractive discounts with every booking on MakeMyTrip with CouponClue. We discuss more on this later, but here’s what you should know. 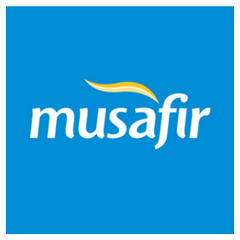 Over a million people have booked their flight tickets, train, bus and even taxi through this online travel site. Hundreds of thousands have booked hotel rooms and holiday packages as well. MakeMyTrip has come out with interesting new features such as a Route Planner, which allows you to look for alternative routes if the usual travel option not available. The company has on offer the cheapest International and Domestic flight tickets and expertises at planning holiday tours and packages. The holiday packages booked on this site will save you tons of money. While there are other decent travel websites in India as well, MakeMyTrip is clearly one of the best. MakeMyTrip has jumped on the “go cashless” bandwagon and made a serious effort to make sure that all of your travel plans are cashless with special features such as the MMT Cash, a digital wallet which ensures that you don’t have to spend any of your precious Rs. 100, Rs. 500 or Rs. 2000 notes. There have been many exciting things happening with MakeMyTrip recently. Back in October 2016, they merged with one of their leading competitors, GoIbibo in what was the biggest merger of its kind in the online travel industry. This sent shockwaves through the market and established the combined entity as one of the biggest online travel companies in India. What are the Online Travel Booking Services Offered by MakeMyTrip? Hotel Booking – There are over 2.5 lakh hotels reserved on this site, not just in India, also in the Middle East and Europe. You can now get excellent deals on the best hotels in Jaipur, Nagpur, Kerala, Goa, Mumbai, Delhi, Udaipur, Bangalore, Lavasa, Hyderabad, Kolkata, Pune, and many other Indian cities. Flights Bookings – You can make bookings on this travel site on almost every Indian and global airline that operates flights in India or from India to abroad such as Air India, Air Costa, Indigo, Jet Konnect, Qatar Airways, Go Air, Air India Express, Jet Airways, Spicejet, Vistara Airlines, Delta, Air Canada, Virgin Atlantic, and Aeromexico. Booking a flight ticket is really very simple on this travel site. You will have a number of options to choose from for every destination. Train Bookings – It is very easy to book your train reservations on the IRCTC website through this online travel site. You can find out about the availability of seats and make bookings for tatkal tickets to any railway station in India. Bus Ticket Bookings – Hundreds of bus operators in India are on MakeMyTrip. You can now book your reservations with them and go by AC buses, Volvo or sleepers to any destination of your choice. #1: Cancellations and refunds are very simple on this online travel site. If you want to cancel any flight tickets all you need to do is to log on to your account and follow the simple instructions for the cancellation. #2: You can called the MakeMyTrip Customer Support Center on the Toll Free Number at 1-800-11 8747. If you are calling from an MTNL/BSNL phones then you may call 1-800-102 8747. #3: You can make your payments at MakeMyTrip using credit card, debit card, through net banking or with digital wallets such as Mobikwik or Paytm. Save Money with MakeMyTrip Coupons on CouponClue.com! You can now save money every time you make a MakeMyTrip booking with our exclusive MakeMyTrip coupons. We have the only the most cost-saving MakeMyTrip coupon codes, MakeMyTrip flight offers, MakeMyTrip app offers, MakeMyTrip coupons flight, MakeMyTrip domestic flight offers, MakeMyTrip deal codes, and MakeMyTrip deals for you. You can also look for the best MakeMyTrip discount codes, MakeMyTrip domestic hotel coupons, MakeMyTrip e ticket offers, MakeMyTrip ecoupon code, MakeMyTrip e gift card, MakeMyTrip ecoupon flight offers, MakeMyTrip flight coupon code, and flight booking coupons with us. Are you looking for the best MakeMyTrip hotel coupons, holidays, honeymoon packages, hotel coupon code, international flight offers, joining bonus, lowest fare offers, MakeMyTrip new user offer, special New Year packages, and other MakeMyTrip offers? You will find them on CouponClue. You will find many MakeMyTrip offer code, offers, and MakeMyTrip voucher codes such as MakeMyTrip 1500 off, MakeMyTrip 1200 off, MakeMyTrip 1000 off, 2017 offers, make my trip 999 offer, MakeMyTrip 888, MakeMyTrip 786 and MakeMyTrip cashback offers that will save you a good amount of money – money that you could use for other useful purposes. You can now get MakeMyTrip promo codes that will allow you to take advantage of the special features of this online travel site such as booking holiday packages, route planner, sign up offers for new users, train coupons, tour packages, taxi bookings and more, so that you can save money on every MakeMyTrip sale. All you need to do is to use the coupon code when you pay at checkout on the secure payment gateway on the official website of the online travel site, to avail of fabulous discounts. You don’t have to worry about the charges levied on cancellations – MakeMyTrip offers zero cancellation charges. That is one of the company’s most attractive features. 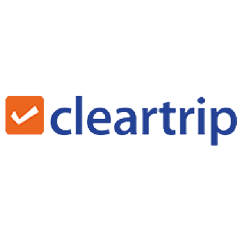 You can also save a lot of money with MakeMyTrip bank offers tjay are available on CouponClue.com, such as MakeMyTrip Axis Bank Offer, MakeMyTrip Amex Offer, MakeMyTrip Credit Card Offers, HDFC Offer, ICICI offer, Kotak Offer, SBI Offer, Citibank Offer, Yes Bank Offer, American Express offer, and Standard Chartered offer, to name just a few.